Since the process of rearranging my bedroom to help with sleep will be a major undertaking, you suggested trying Plan B (the color of sheets). Per my personal energy, It’s been less than a week on the new black sheets. My husband noticed even before switching colors that my sleep disturbances disappeared after the short time we’ve been working with you. 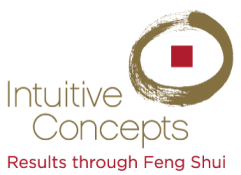 They’ve been happening for years even after following the advice of two other Feng Shui practitioners. Seems like the higher my vibration got, the more the disturbances happened. Between addressing the house’s double-facing nature (new shrub/mound at the NE corner) and this (color of sheets), I am amazed. Feeling rested and well even after surgery last month! You also changed the color scheme for the living room to water because that’s what the house needed. What a difference, and it is amazing how what it required fell into place. You said the universe would bring it to us when we were clear about what was needed, and it did within a couple weeks. You said too the house would thank us because it feels better. What we’re doing in the SW resonated immediately. My husband is likewise enjoying the new configuration for his office. Look forward to next meeting. Gayle is executive management in the top 20 of a Fortune 100 company.